Old Car Memories > Commentary > The Manual Transmission – on the Road to Extinction? Most who have been driving behind the wheel of a car for a few decades, probably have at one point in their lives spent a substantial amount of time operating a manual transmission equipped car. However a large majority of the younger drivers under the age of 30 have never driven a manual transmission, and believe it or not some have never seen one. It’s not their fault but they are merely the product of the times. 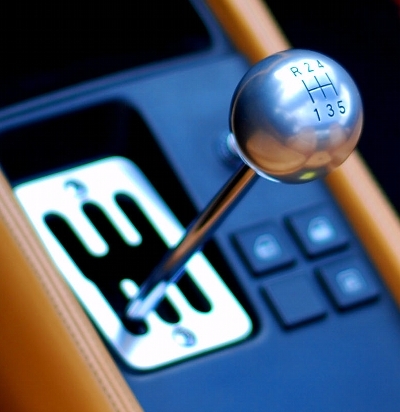 Slowly but surely, the manual transmission has been disappearing from most cars. It’s not a recent phenomenon but a trend that has been underway since after World War II. Before World War II, manual shifting gears was a given, every car had a manual transmission and anyone who drove knew how to shift gears and operate a clutch pedal. The first blow to the manual gearbox occurred in the 1950s when the American buying public became smitten with the newly released automatic transmissions on big luxury cars and some family cars of this era. This trend continued through the 1960s. By the mid-1970s just about every large family car had a mandatory automatic transmission with no optional manual gearbox available. If it had not been for the first Oil Crises in 1973 and the influx of small European and Japanese imports, the manual transmission may have died years ago. A large majority of these small import cars were manual shift, and many of the new smaller American cars were equipped the same way. The reason for this new trend, was these smaller cars were on the average equipped with small 4-cylinder powered motors – most of which made under 90 horsepower. Even though these cars had light curb weights, the low horsepower nature of their motors necessitated a manual transmission to get the best performance out of the itty-bitty motor. For example if one were to drive a 75 horsepower base-level 1974 Chevrolet Vega with the optional automatic transmission – it was a slug. With a manual gear box this same 75 horsepower 1974 Chevrolet Vega felt a lot more powerful since the driver could leave the car in a given gear longer than an automatic transmission. As a driver of one of these underpowered cars, you may have been stuck with not many horses but with the manual transmission you had the option of maximizing every pony of power out of the motor. And with 75 horsepower ever little bit count. Another factor that caused the resurgence of the manual transmission in the 1970s, a manual gearbox could obtain better gas mileage versus the same exact car with an automatic transmission. And with gas prices skyrocketing throughout the 1970s, this was a big deal. Another holdout against the onslaught of automatic transmissions was the performance car. When the muscle car era began in America with the release of the 1964 GTO, every performance gearhead wanted what was referred to as a "four on the floor" which was a 4-speed floor mounted manual shifter. For those who couldn’t afford a 4-speed in a performance car the 3-speed manual mounted on the floor was the cheap alternative. 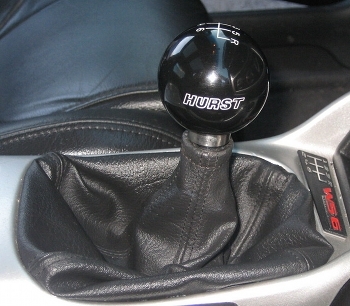 These floor mounted shifters got more popular with the release of the aftermarket Hurst Performance shifter. There was the "three on the tree" (a 3-speed manual shifter on the steering column) but that was reserved for cheap budget cars and among performance fans was hated almost as much as an automatic – henceforth the three on the tree has been gone for a long time. Muscle car and performance car buyers could get automatic transmissions in their vehicles however all these muscle car and performance cars were all standard with a manual transmission and an automatic transmission was generally a costly option. Most young buyers skipped this option and it was generally reserved for the older buyers who liked performance but didn’t want to manually shift the gears and manipulate a clutch pedal. 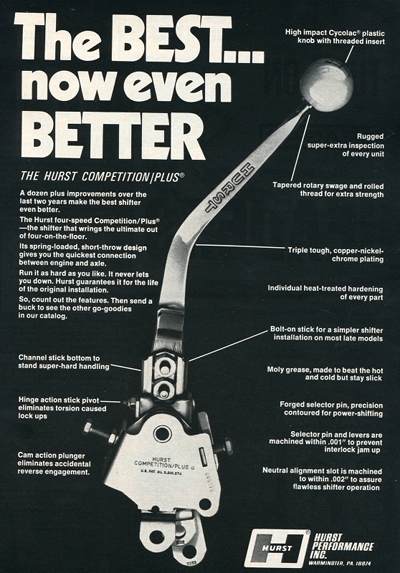 As an example only 8.6% of the 1966 Chevrolet Corvettes produced were equipped with an automatic transmission. For 1982, Chevrolet dropped the manual transmission option for the Corvette, so 100% of the total output for that year were automatic transmission equipped Corvettes. Fortunately the manual gearbox returned as an option in the Corvette lineup during the 1984 model year and has remained an option for last three decades and will be continue to be an option on the soon to be released 2014 Corvette. Dodge and Ford are still remaining faithful to the manual transmission, the new 2013 Dodge Viper and 2013 Ford Shelby GT500 can only be equipped with a manual transmission. And buyers are very glad of this, since these two cars are selling well. Unfortunately the Viper and Shelby GT500 are the rare exceptions. Ferrari once had an unbending policy of only offering a manual transmission. Now you can’t buy a Ferrari with manual gears – you either accept the automatic transmission with steering wheel paddle shifters or you just don’t buy a Ferrari. Certainly Enzo Ferrari must be tossing and turning in his grave. And lets look at BMW which not too long ago offered a manual transmission in every car they made. If you want a new BMW with a manual gearbox you’re going to have to special order it. Why are the European performance brands caving? 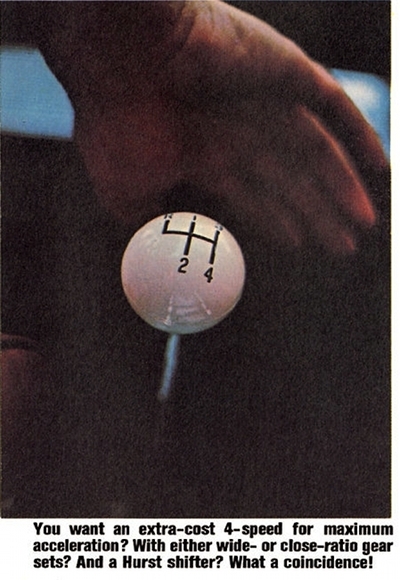 It’s simple, in this modern age of sophisticated computers, automatic transmissions can shift faster than the human hand can shift a manual stick. And when the auto magazines all stress performance times, and for an upscale or exotic low volume performance brand every little 1/10 of second of a performance time counts. What gets lost in the shuffle unfortunately is the driver’s control of the car. With a sophisticated precise shifting automatic even with paddle shifters, is nothing more than a video game played out in reality. In the past the maneuvering of steering wheel while at the same time upshifting or downshifting with precise foot clutch movements gave the driver ultimate control over how the car performed. Now any inexperienced or bad driver can in a half-sleep state can easily operate an exotic sports car. In the past you had to be a skilled driver. For instance if a driver over-revved an engine by leaving the shift lever in a lower gear for too long, the engine’s internals could blow-up. Now if a driver attempts to over-rev with a paddle shifter (in manual mode) or with an automatic stick (in manual mode), the automatic transmission will automatically upshift before the engine over-revs. In essence it’s a dumbing down of the average driver, the thinking is left for the onboard computer. Which is no surprise in this age of anti-lock brakes, state-of-the-art traction control, air-bags, etc. In the light truck and SUV segment where a manual transmission has always been king, automatics are now the preferred transmission. Even a vehicle such as the Jeep Wrangler which has been traditionally primarily a manual transmission equipped vehicle – it is a very difficult task to buy a new one equipped with a manual gearbox off the dealership lot. If you want a manual gearbox on a new Wrangler chances are you’ll have to special order one. Back in 1987, it was the exact opposite just about every new Wrangler on the dealer lot then had a manual gearbox – a buyer had to special order an automatic equipped Wrangler. Back in 2009, the percentage of new cars sold in the United States with a manual transmission was just below 10 percent. And at the current rate it may drop to below 5% within the next few years and soon thereafter disappearing forever from the new car option list. This is a strong possibility when you consider the EPA’s Corporate Average Fuel Economy (CAFE) standards will eventually reach a little over 50 mpg in a little over ten years. This is double of what it was a few years ago. The computer controlled modern automatic transmissions are now more fuel efficient than modern manual transmissions. So it comes as no surprise that one of the tactics that automobile manufacturers will be using in order to increase mpg figures will be the implementation of new ultra efficient 8-speed or greater automatic transmissions or dual clutch transmissions (an automatic which uses manual transmission type internal architecture). 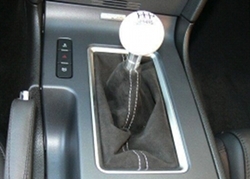 Either way this new trend may spell the end of the manual transmission here in the United States. There is only one ray of light, new car sales are skyrocketing in China, Russia, and India. And a majority of the car buyers in these countries prefer a manual transmission. It’s always a possibility that if automakers who sell cars in both the U.S. and these markets will see it beneficial to still offer manual transmissions in some of their U.S. offerings in order to keep their offerings standardized globally. The downside is that with more and more new drivers making their way on America’s roads with no manual transmission experience, the likelihood they will convert to a manual transmission in the future is very low. It was the young drivers in their 20s and 30s years ago who traditionally preferred a manual transmission. Once they entered into their 40s and higher age bracket, they would gravitate to an automatic transmission. So as the pool of existing manual transmission drivers graduate to automatics, and new drivers forgo manuals for automatics, it’s the perfect storm that could lead to the death of the manual transmission in America. There’s no doubt that modern automatic transmissions make driving easier and provide good reliability along with fantastic efficiency. However just as there is a need for an automatic transmission on many of the new cars offered today, the reliable manual transmission also serves a purpose for those who want to drive in a more traditional fashion and exercise greater control over their cars. It would be a great dissatisfaction to the American consumer if the manual transmission option on all new cars was to disappear. No matter how good an automatic transmission is or becomes in the future, it will never be able to substitute for the loss of the manual transmission. There’s just something so special about shifting your own gears with a foot pedal clutch for a true driving enthusiast. The manual transmission is the last link to the cars of yesteryear and the fine art of driving, its elimination would be the equivalent of removing the wooden bat from Major League Baseball. Let’s hope the automakers soon come to their senses, before it’s too late.